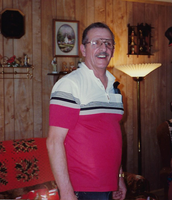 Provide comfort for the family of Martin Baker with a meaningful gesture of sympathy. 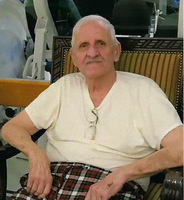 Mr. Martin A. Baker, age 81, of Dallas, passed away December 25, 2018. Funeral Services will be held Saturday at 2:00pm at Bellamy Funeral Home Hiram Chapel with Rev. Billy Bell officiating. Interment will follow at Paulding Memorial Gardens. The family will receive visitors Saturday from 12-2:00pm at the funeral home. Survivors include: Wife – Juanita Baker of Dallas; Step-daughters – Sherry and Darrell Young of Adairsville and Lawasa Hindman of Cartersville; Step son – Tony and Renita Walker of Cartersville; Sisters – Florence and Nora of Cle Elum of Washington; 4 Step Grandchildren and 4 Step Great Grandchildren; Nieces and Nephews. Mr. Baker retired from the United States Coast Guard and later retired from Lockheed Martin. He was a member of Wayside Church of Dallas. To plant a memorial tree in honor of Martin Addison Baker, please visit our Heartfelt Sympathies Store.